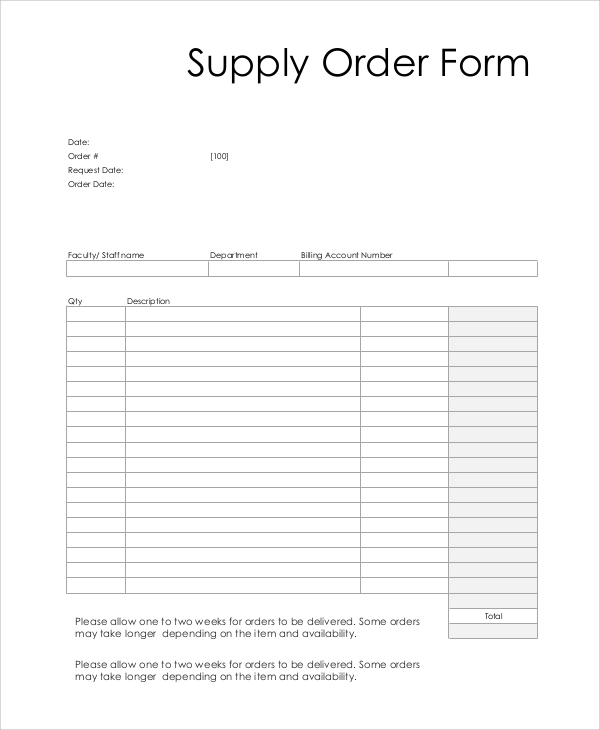 Order forms are used in different businesses to specify the nature and number of goods required by a customer. These are customized for each business, and the buyer has to fill it up with relevant requirements and place it before the seller. These Order Forms ease up the process of placing orders. It is an organized way of stating what the customers need and calculates the price. 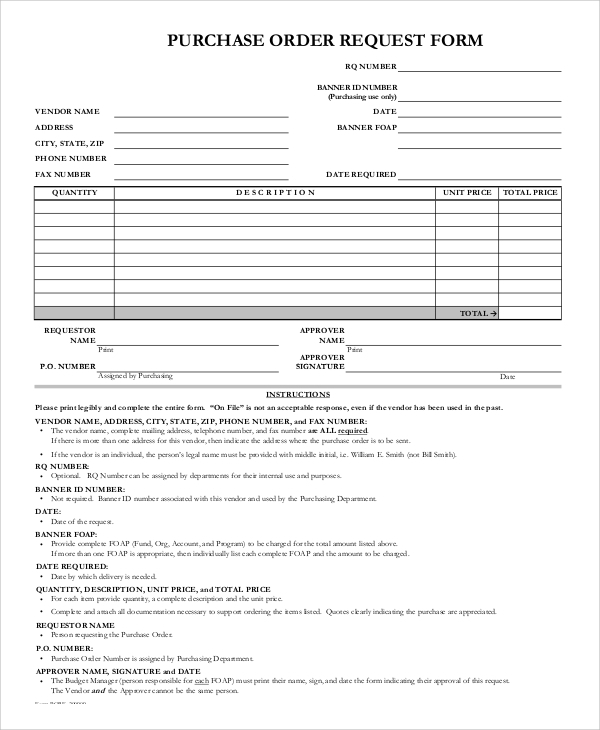 Here are some Sample Forms that you may require while dealing with specific industries. 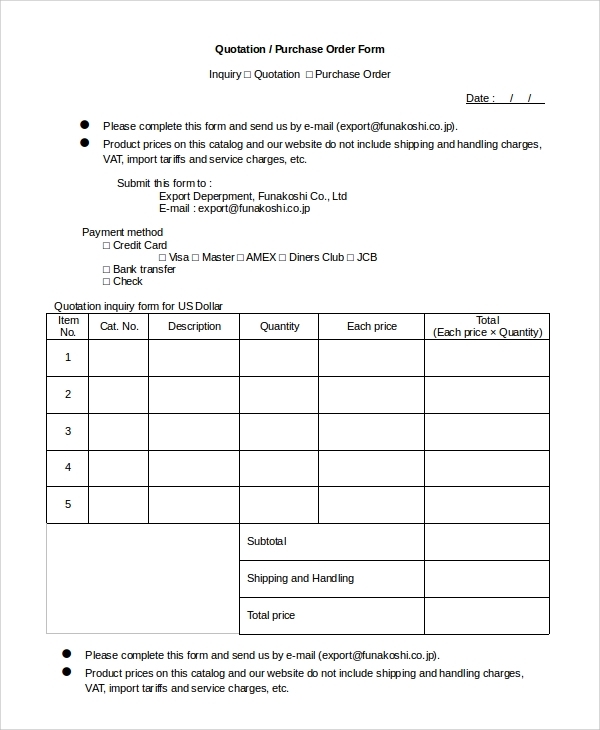 This is a typical form with the name and personal details of the customer at the top. The middle portion contains a blank space to write the product details. Other specifications are included in the template after these aspects. 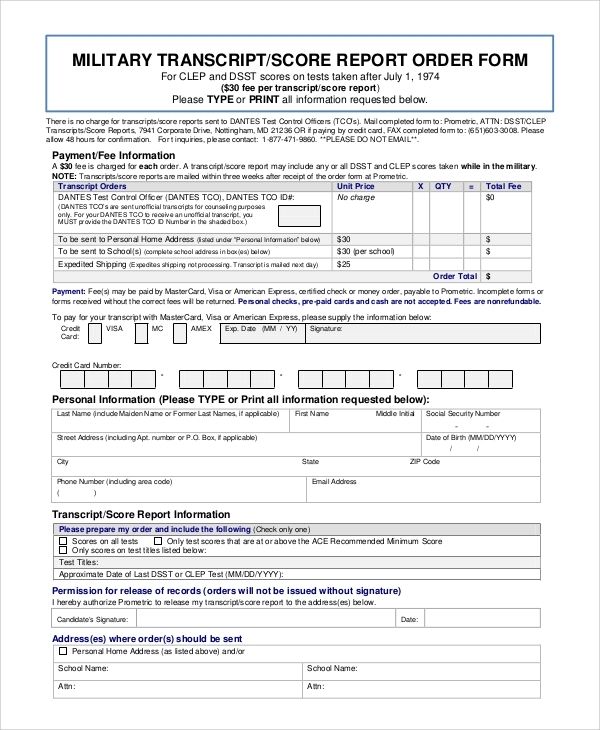 This Sample Purchase Order Forms document starts with the name and address of the vendor, along with other details. The product description is made in the middle in a tabular format. The instructions for using the document are placed at the bottom. 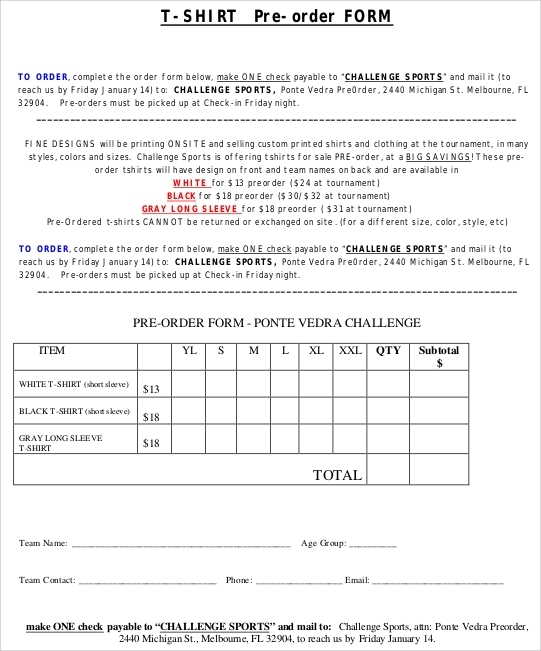 These Sample T-Shirt Order Forms are designed to educate the customers about the available goods and then present a table to be filled up. The needs of the customers are specified in this format, and the prices are calculated after that. 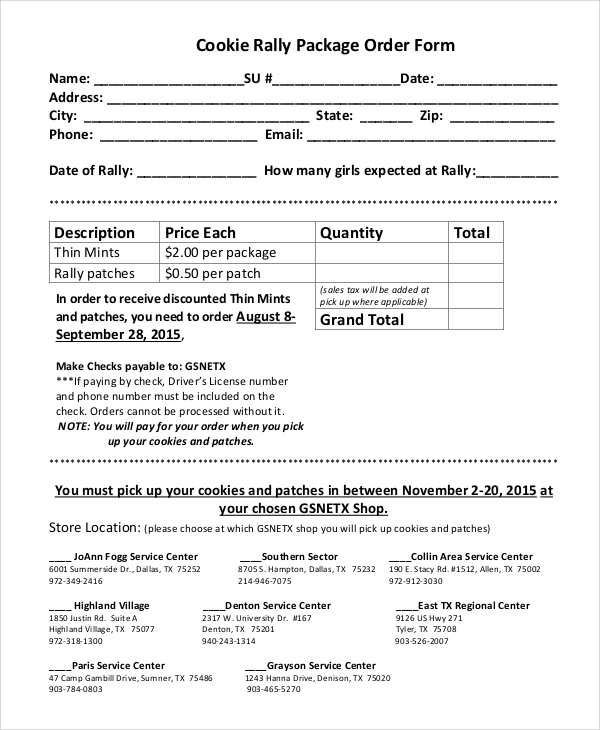 Why are Order Forms Needed? 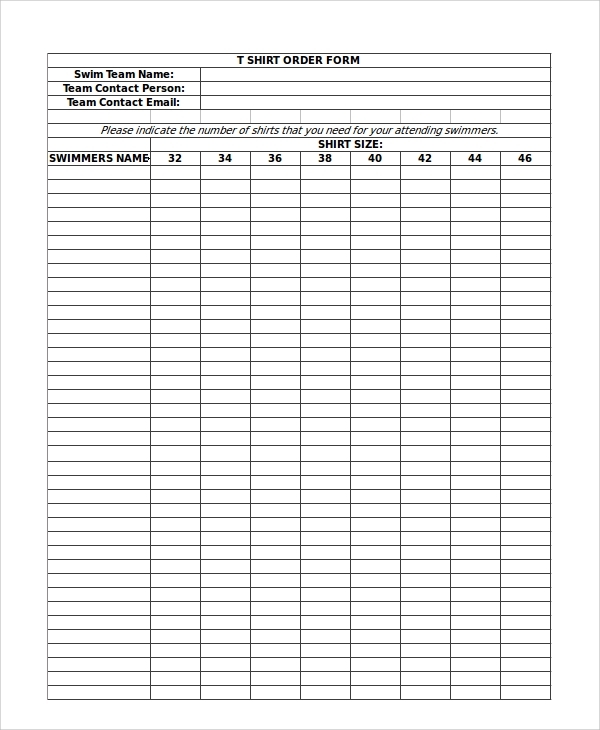 Sample Order Forms are needed to simplify the process of placing orders. It is often found that some goods are to be purchased by the customer and the corresponding prices need to be calculated. Under these situations, you may opt for these forms and complete the purchase in a well-organized manner. In these situations, there are minimum chances of missing out any of the required products. It also helps the people to make the payment calculation. These documents serve as a proof of purchase and payment for future reference as well. Different people customize the choice of order forms as per their requirements. No tabular format is used in this format. The personal information comes at the beginning. Then there are separate paragraphs related to the nature of the needs. These are filled up as per the requirements. In this format, the mode of payments placed at the top. The purchase details are presented in a tabular format in the middle. The customer information comes after the billing part in this template. What Information is Included in these Forms? 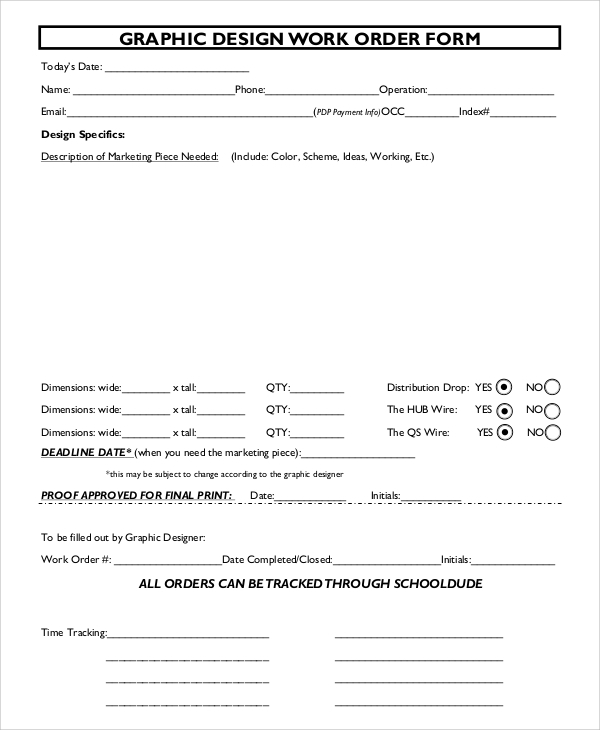 In most of the Sample Construction Work Order Forms, the customer information is placed at the top. The name, address, contact number, and other personal details are included here. This is followed by a tabular format, which has quite some columns. It may also contain a blank space to write the specific requirements. There are other specifications regarding the nature of each product, the dimensions, color, and number. It may follow a blank pattern or a preformatted pattern with the scope of ticking the right option. The companies find it easy to deal with the customer requirements when they are placed in a well-formatted manner. 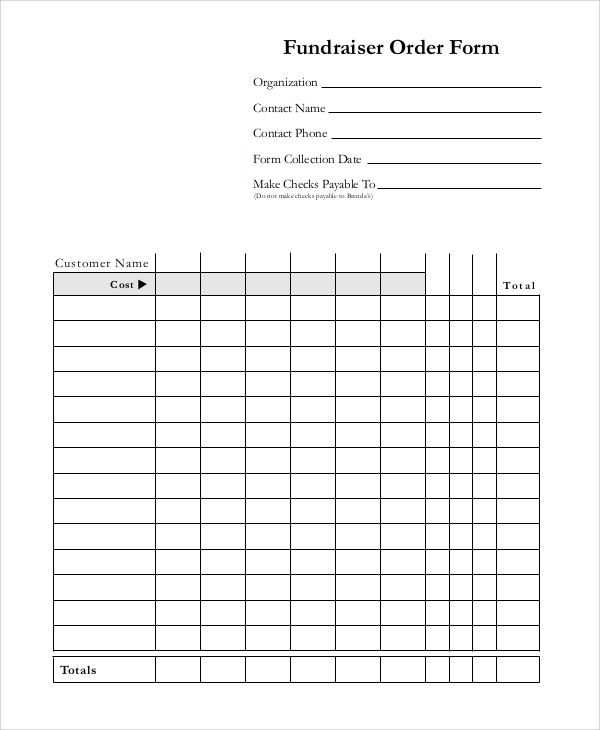 Order forms are common in almost all sorts of business. 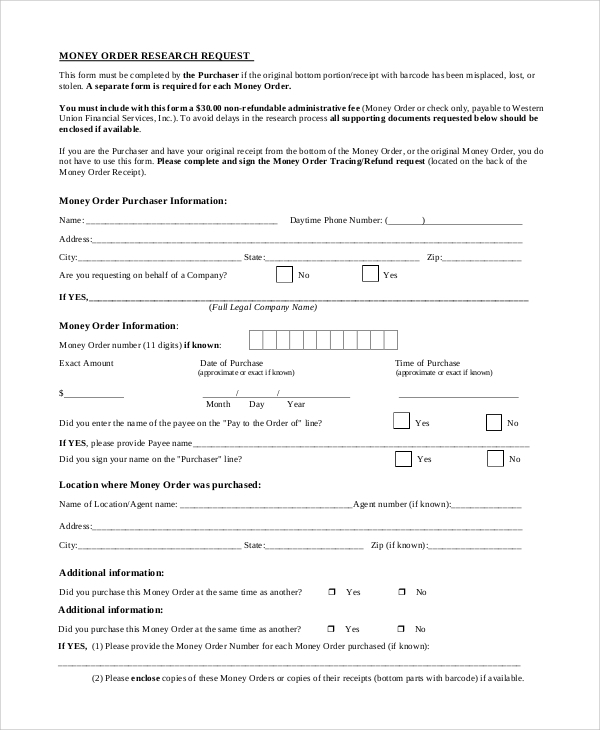 So, you may need a purchase order form when you enlist the goods to be purchased from a particular place. You can also browse the website for specific templates like Consent Order Forms, and these can be customized as per your specifications.